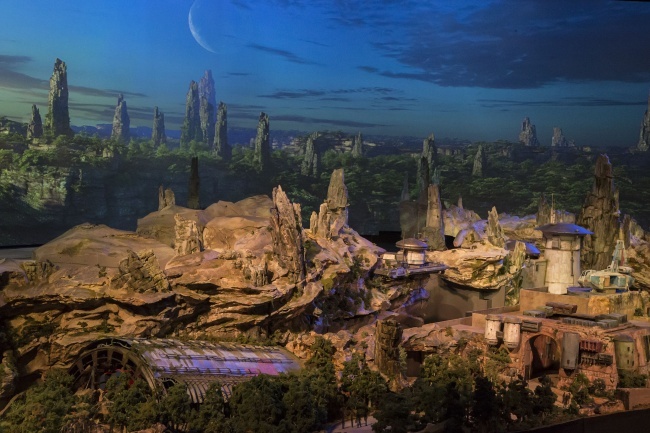 This year’s D23 Expo Announcements for Walt Disney Parks and Resorts revealed an exciting variety of new attractions and experiences for Disney guests over the next few years. Some of these announcements simply revealed unknown details for new lands in both Walt Disney World and Disneyland. Other D23 Expo Announcements confirmed rumors or introduced brand new projects to continue to entertain and create magical memories for Disney guests. Remember to keep an eye on our home page for all the breaking news! Walt Disney World will be introducing a new Disney 360 vacation concept, with the announcement of a new Star Wars themed resort. Disney has always been a story telling company, but now they are going a step further to immerse guests in the story as soon as they arrive at the resort. From that point on, it will be as if you have left earth and become a part of your own Star Wars story. Guests will soon be able to travel around Walt Disney World in new ways. The Disney Skyliner will transport you over Walt Disney World in a gondola to Epcot’s International Gateway and Disney’s Hollywood Studios from select locations. 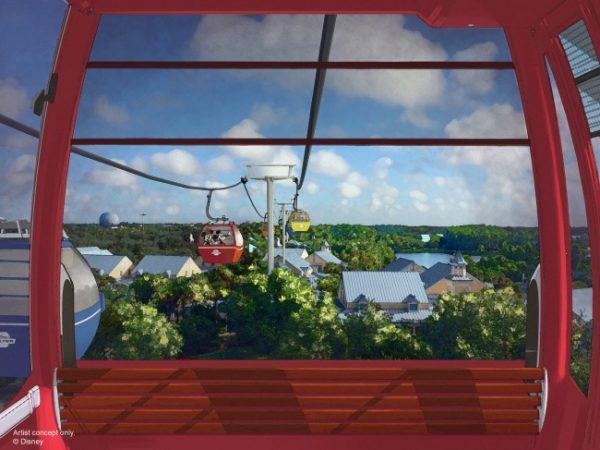 When it opens, guests at Disney’s Art of Animation Resort, Disney’s Pop Century Resort, and Disney’s Caribbean Resort will have stations for the Skyliner. Additionally, Minnie Van service will begin running this month to transport guests around Walt Disney World. The Minnie Mouse themed private vehicles will be driven by cast members for a point to point service that can be arranged from your smart phone. At Walt Disney World, summer of 2018 will see the opening of Toy Story Land in Disney’s Hollywood Studios. As you enter Andy’s backyard, you will magically shrink to the size of Buzz and Woody giving you the ability to explore the world as a toy. Once you are toy sized, you can enjoy the new attraction, Alien Swirling Saucers and try to avoid the “Claw”while in the toy play set. You can also experience a new family coaster, Slinky Dog Dash. Disney’s Hollywood Studios is also going to be saying good bye to one of its original attractions, The Great Movie Ride on August 13, 2017. Once the curtain falls for the final time, work will begin on Mickey and Minnie’s Runaway Railway, the first Mickey themed ride. Disney Television Animation will be helping to create this ride so you can step into the world of a Mickey Mouse cartoon short. Walt Disney Imagineers are working on a new “2 1/2 D” experience to completely immerse riders in the cartoon world without needing 3D glasses. 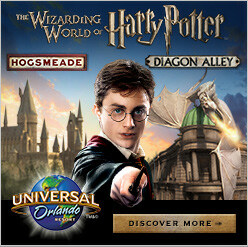 Magic Kingdom will be getting into the act as well. Main Street will be gaining a theater modeled after the Willis Wood Theater in 1920’s Kansas city. Similar to the Hyperion theater in Disneyland, it will showcase live action shows. Over in Tomorrowland, there will be a brand new Tron attraction. The attraction is scheduled to be completed in time for Walt Disney World’s 50th Anniversary in 2021. Changes are also coming to Epcot. Universe of Energy will come to an end in August to clear the way for a new experience themed around Guardians of the Galaxy. The new E-ticket attraction will focus on Future World’s vision of space travel and adventure. Just a few steps away, a new space themed restaurant will be opening up. While dining here, guests will feel like the have traveled to space and are dining among the stars on out of this world fare. World Showcase will also be growing with a Disney Pixar’s Ratatouille attraction in France. The experience will have guests scrambling for safety through the Gusteau’s legendary Parisian restaurant after being transformed to Remy’s size. 2019 is going to see Star Wars: Galaxy’s Edge open both in Disneyland and Walt Disney World. 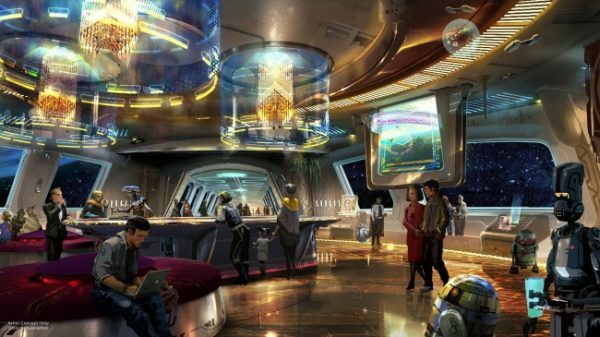 Guests will travel to space and meet Star Wars characters in a distant trading post. 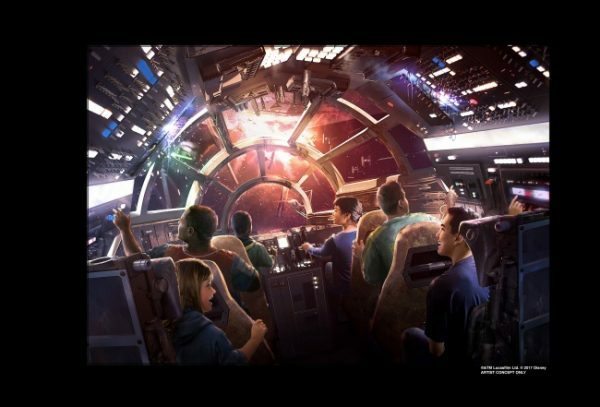 While there you will be able to visit the cantina, purchase space trinkets, interact with familiar and not so familiar faces, and even fly the Millenium Falcon as part of a new attraction. You’ll also get the chance to experience a Star Destroyer in it’s hangar bay. 2018 will see more Pixar stories appearing in Disney’s California Adventure. The Paradise Pier area will be transformed into the Pixar Pier. Throughout the neighborhoods here, you can meet friends from Inside Out, the Incredibles, and of course Toy Story. The permanent change is part of the limited time Pixar Fest! Celebration. While the celebration is running, there will be a new fireworks show and the return of Pixar Play Parade. Disney California Adventure will also be home to the Paint the Night parade. For a limited time Disneyland Resort hotel guests will be getting an “Extra” Extra Magic Hour to experience Guardians of the Galaxy – Mission BREAKOUT!. 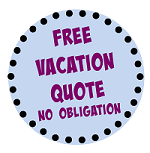 On select days, the park will stay open one hour later for hotel guests. 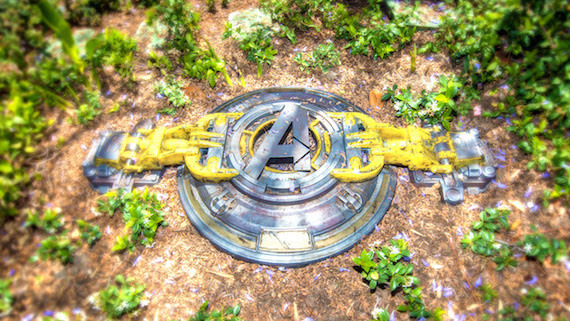 Before long, the Guardians will be joined by more Marvel super heroes for a new super hero experience. 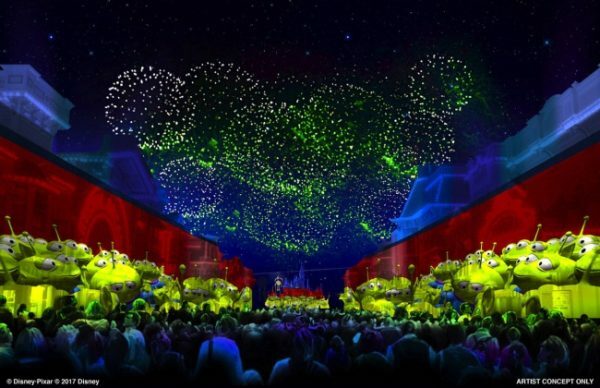 While exact details aren’t know yet, it will be an immersive, one of a kind experience. 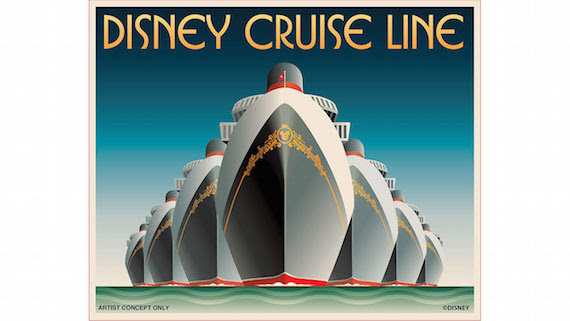 Over the next few years, Disney Cruise Line will be almost doubling the size of their fleet. Previously, they announced that a new ship will be added in 2021, then a second ship in 2023. It has now been revealed that in addition to those two, a third ship will begin sailing in 2022. The three new ships will be slightly larger than the Disney Dream and the Disney Fantasy, but design plans, names, and itineraries are still in development. Each Disney ship is expected to provide a slightly different experience. As previous generations of Disney Cruise Line ships did, this new generation is expected to usher in a new era of family cruising experiences.